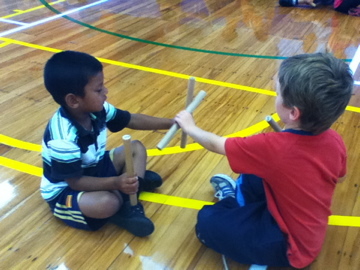 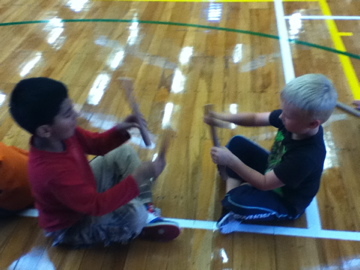 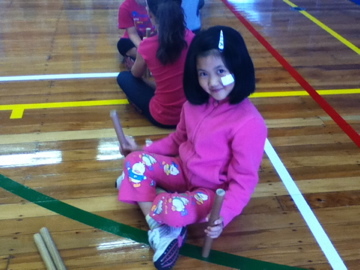 This term we are learning some Te Reo Kori (movement) songs and action games. 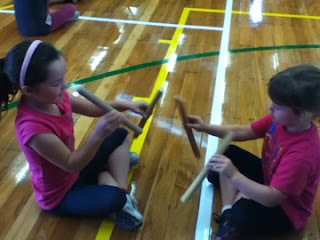 Today we sang two waiata (A Haka Mana and Mahunga Pakihiwi) and then we learnt how to use Ti Rakau sticks. 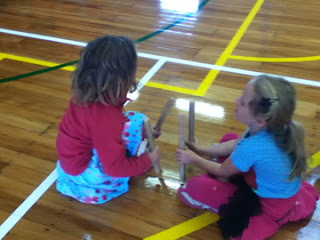 We learnt 3 actions and then practised doing the actions and singing. 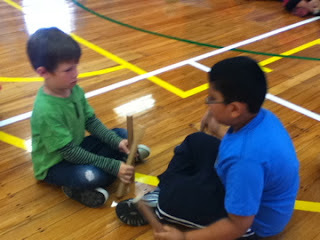 We also worked with a buddy to do the actions together. 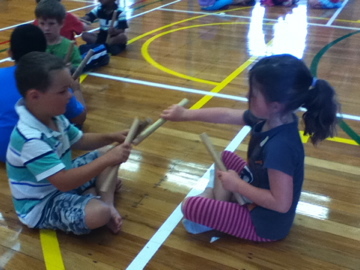 The song we are learning is E Papa Waiari. 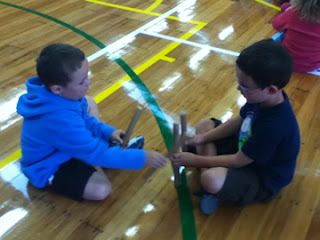 Some of the actions were a bit tricky, but we all showed Excellence and tried our best. Here is a video of some children singing the song we are learning. Our Ti Rakau are made from wood, but if you want to learn this song at home, you can make yourself some Ti Rakau sticks out of old magazines rolled up and taped with sellotape. 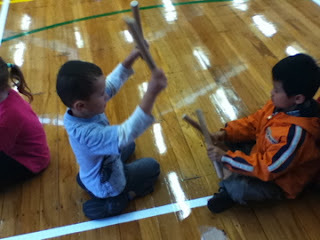 What a great song. I remember singing this song when I was at school (not that long ago). 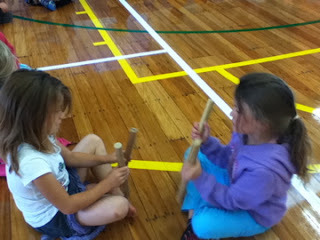 Our sticks were made from the stalks off the flax bush flowers, after they have died and dried out you can break them from the plant and make smaller sticks. You all look like you are having fun.